Obedience to California’s DUI laws can keep you and other drivers safe and preserve your freedom. If you’re charged with DWI in southern California, get the legal help you need and speak at once with an experienced Orange County DUI defense attorney. 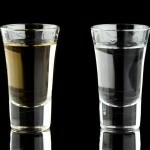 California’s DUI laws, like most states’ DUI laws, are always changing and undergoing revisions as authorities constantly seek tougher laws to deter drunk driving and to penalize offenders. This is true everywhere, not only in California and the U.S. Lawmakers in Chile, for instance, have radically revised that nation’s DUI laws. The new law, signed by Chilean President Michelle Bachelet on September 15, requires that any drunk driver who causes a severe injury or death to another person must spend at least one year in prison. “Emilia’s Law” is named for a 9-year-old Chilean girl who died in a DWI -related crash in 2013. Previously, DUIs involving death or injury in Chile carried a 5-year to life license suspension but no prison time. With twenty percent of all fatal car crashes in Chile related to alcohol consumption, the Chilean government hopes to reduce the number of DWI -related injuries and deaths with Emilia’s Law. A California DWI conviction can mean substantial time behind bars, from six months for a first offense to years for a DUI manslaughter or homicide. 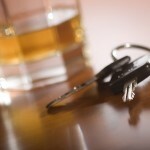 Alcohol isn’t the only drug that can lead to a DUI conviction. California authorities check drivers for both illicit and prescription drug use with blood tests. 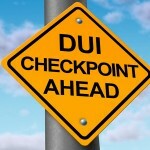 California law enforcement agencies routinely use DWI checkpoints to examine drivers for signs of impairment. Those under 21 who drive with any amount of alcohol in their blood face special penalties. Obviously, the way to avoid the severe penalties of a DWI conviction is to refrain entirely from drinking if you plan on driving. But if you are stopped and arrested for DWI in southern California despite your best efforts and precautions, get the legal help you need without delay and speak at once to an experienced Orange County DWI defense attorney.